We’ve created a comprehensive, innovative approach to the entire first year of learning. Each term has a distinct purpose and builds on the preceding term. The integrated four-part program gives you the foundation you need to complete your degree in four years and the analytical thinking and knowledge to fully explore who you are in the world. The program begins with First Engagements, created to help ease your personal and academic transition to college and the demands of a liberal arts curriculum. Learn more about all the components of your first year. 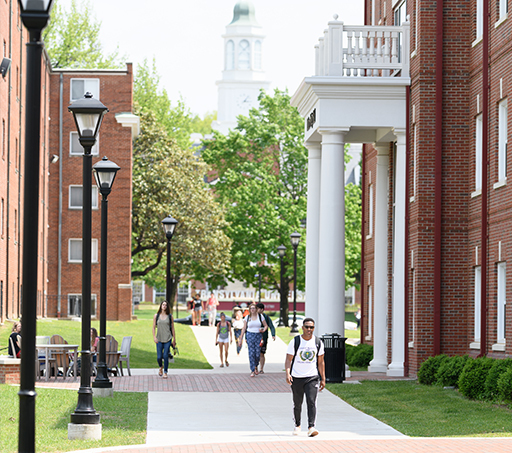 During your first two terms at Transylvania, you'll take First-Year Seminar courses designed to prepare you for the type of academic work it will take to thrive at Transy. You'll read and discuss texts, get introduced to the Writing Center and research an argumentative essay on a topic of your choice. Learn more about the First-Year Seminar Program. Transy Engagements helps first-year and transfer students get accustomed to exploring new ideas and participating in a variety of cultural activities while at Transy. To encourage a variety of intellectual and cultural experiences, you'll attend at least 10 events of your choice during fall, winter and May terms. Those may include lectures, plays, films, art shows, concerts and community engagement activities. Students receive one-quarter credit for completing the Transy Engagements requirements. Transy Engagements also presents opportunities for you to get involved in scholarly discussions with your peers and professors, outside of the pressures of graded courses. The goal is to help you develop a lifelong habit of participating in a community of inquiry. Academic advisors can be valuable resources for you as you begin to clarify your life and career goals. Your First Engagements professor will be your first academic advisor at Transylvania. They will help you become familiar with the curriculum and a Transylvania education means. Click on a topic to view the description. Y'all Are How You Speak? : Language, Culture and Identity in the U.S.